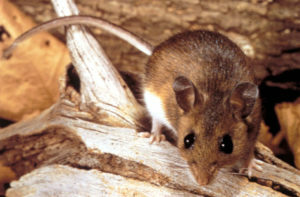 Andy’s Pest Control offers a great effective solution for mouse control. Our approach helps stop mice from entering your home, cottage, or business. Tired of battling mice every year? Tired of constantly cleaning up mouse droppings? Our rodent control program is your best option for a long term solution to these seasonal invaders. We use tamper resistant bait stations placed in strategic positions in your home to eliminate any current infestation. This includes baiting areas such as crawl spaces and attics. We also setup bait stations around your structure to stop new mice from entering. A spring and fall service is all you need to keep your investment mouse free. Are Mice Becoming Resistant To Warfarin? Warfarin is a product that has been used for many years to help reduce mouse populations. Is it still effective? Warfarin is a multi-feed anticoagulant that can take up to 10 feedings exclusively to be effective. If in that 10 day period the mouse has consumed anything other then warfarin, they are able to build up a tolerance to it. All of Andy’s Pest Control’s rodenticides are single feed anticoagulants. Only a single feeding is all that is needed to be effective in eliminating mice from your home. Mice are proven carriers of viruses, parasites, diseases and bacteria. As mice are living in your home they will be constantly be looking for food sources. As these mice are searching for food sources they will get into your cupboards, drawers, and go on your counter tops leaving trails of urine as well as droppings. Do not put your family at risk, and call a professional to set up a treatment today. Andy’s Pest Control services all of Peterborough and the Kawartha lakes including Bancroft and Apsley.